St Paul's Cathedral is without doubt one of London's most iconic buildings. As the setting of Charles and Diana's fairytale wedding and the most famous of Christopher Wren’s Cathedrals it is a ‘must see’ for lovers of art, religion, royalty and history. 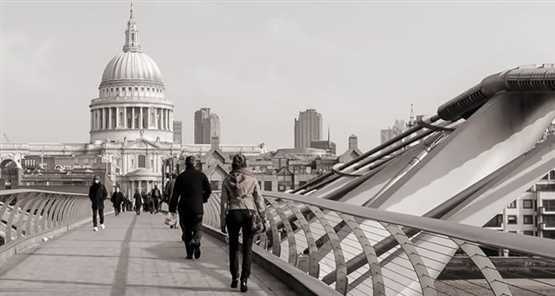 Tickets for St Paul’s Cathedral provide a fascinating insight into not only this breath-taking landmark, but also its wider role during pivotal moments in the city’s past. St Paul's Cathedral is of course most easily recognised by its impressive Dome, designed as an observatory ‘linking heaven and earth’ it is truly a sight to behold. Discover a wealth of art, including beautiful mosaics and paintings, with the help of a touch screen multimedia guide around the vast Cathedral before heading down into its famous crypts. Here you will find a pass into London’s past, and the final resting places of national heroes including the Duke of Wellington and Lord Nelson. Please note that The Whispering Gallery will be closed until further notice. The Stone and Golden Galleries will remain open as normal. This combo ticket was cheaper than buying 3A and 1CH ticket to the London Eye directly from Coca Cola. London Eye was exiting way of seeing London and St Paul's Cathedral is must see for anyone who is visiting London. We walked between the two attractions on the South Bank and only took 30 minutes. The view of the St Paul's Cathedral from the Millennium bridge was spectacular. The vouchers were exchanged for tickets at each venue without any problem and I would most certainly use Discount London again in the future. Fast entrace and easy booking. Cuando encontré esta oferta por internet dudé de su veracidad... me parecía demasiado bueno para ser verdad, pero los comentarios de otros clientes me hicieron decidirme a comprar este pack de ahorro y por eso me decido yo también a escribir. Este pack permite conocer do de los lugares más emblemáticos de Londres a un muy buen precio, por lo que recomiendo al 100% su compra. We really enjoyed these attractions. There is so much to see, make sure you allow enough time. The galleries at the cathedral are a must, but be prepared for the amount of steps. The Tower of London was extremely busy, so be prepared to queue. I’d definitely recommend these places and this combo was great value. The best attractions in London!